Is your flat roof leaking? Is it old and showing signs of wear and tear? If you’re thinking about replacing your flat roof, Champion Services Roof Rescue has a solution that may save you big money. Liquid roofing lets you rescue your flat roof while using less money, less time, and creating less mess. Before you replace your roof, contact us about the better solution! This process is effective on any size flat roof. No matter what type of building you have, liquid roofing is an option. You’ll get the best ultraviolet protection possible—even better than a new roof membrane. Your roof will last longer for less money. It’s truly a green roof. Your energy costs will be dramatically reduced. Sustainability is a key feature. It can be reapplied if needed, even in areas where ponding water is present. 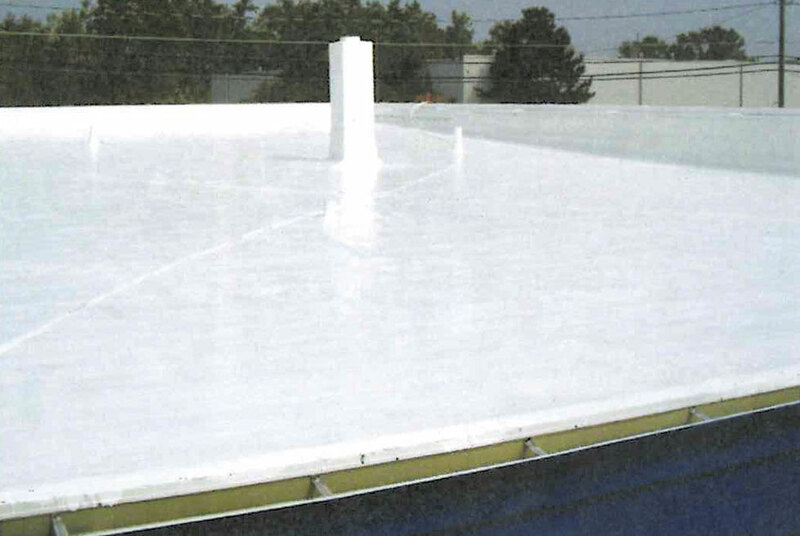 Liquid roofing uses a specialized silicone-based coating that’s applied over your existing roof in three phases. There’s no mess since no intrusive tear-offs are required. The end result is a seamless roof system. 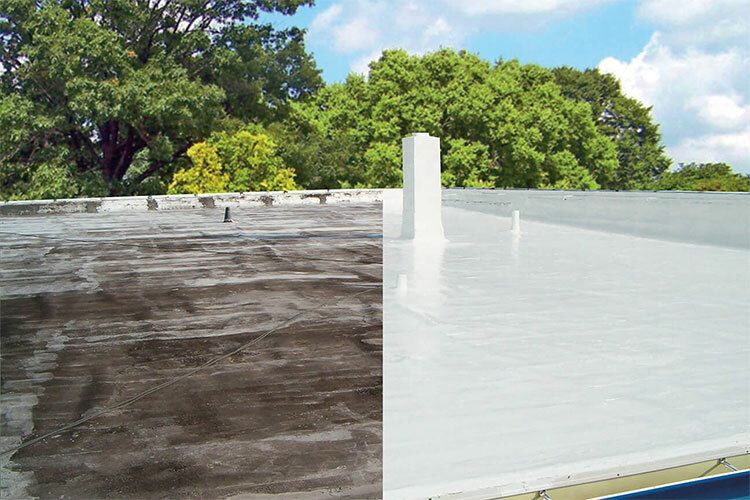 These coatings are effective over all types of roofs. This includes roofs made of EPDM, TPO thermoplastic (even with failing modifiers), granulated and smooth modified, slick finished BUR roof systems, Duro-Last, Hypalon, PVC thermoplastic roof membranes, commercial metal roofs, and foam. You can save up to 50 percent or more over the cost of installing a new commercial roof. And there’s an added bonus: Your liquid roofing application may be tax deductible. When you hire Champion Services Roof Rescue for your roofing project, you can trust that we’ll do the job right. As a locally owned and operated business, we put our customers first. In fact, we stand behind our work with one of the best warranties in the business. All liquid roofing jobs come with an up to 20 year pro-rated warranty on materials. Request a quote online or call (803) 329-7898 for your FREE estimate!